I was on the edge of my seat the entire time! I feel like I had a special place in my heart for this book because I've been to all of the locations that Landon went throughout the tale, but I loved every page! I will read anything that Dan Brown writes! Dan Brown takes his readers on another ride this time focusing on Venice. 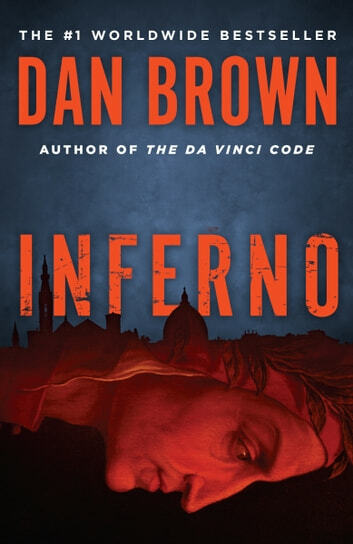 Inferno is filled with everything you could expect of a Robert Langdon adventure. However I do feel that Roberts character is only going through the motions in this novel, he seems to have lost the spark for mystery solving and therefore made me as a reader want to skip the middle and rejoin him at the end. The outcome of this novel was disappointing but as a Dan Brown fan I will read any more novels he writes in the hope of reading another story like Angels and Demons. This is almost as captivating as the davinci code. Wonderful read! Inferno - A Great Read! When you read a Dan Brown novel you always feel a little smarter and the Inferno was no exception. In many ways the book may even be more relevant than DaVinci Code - the moral complexity of dealing with overpopulation will certainly be a topic around many Book Club coffee tables after reading this book. If you haven't read this book, please do so. It is a great summer read but you will also feel like you attended great History, Art, Literature and Bioscience classes as well. I enjoyed the descriptions of Florence and Venice, but overall it was pretty formulaic.